Tentickle’s future is looking bright. 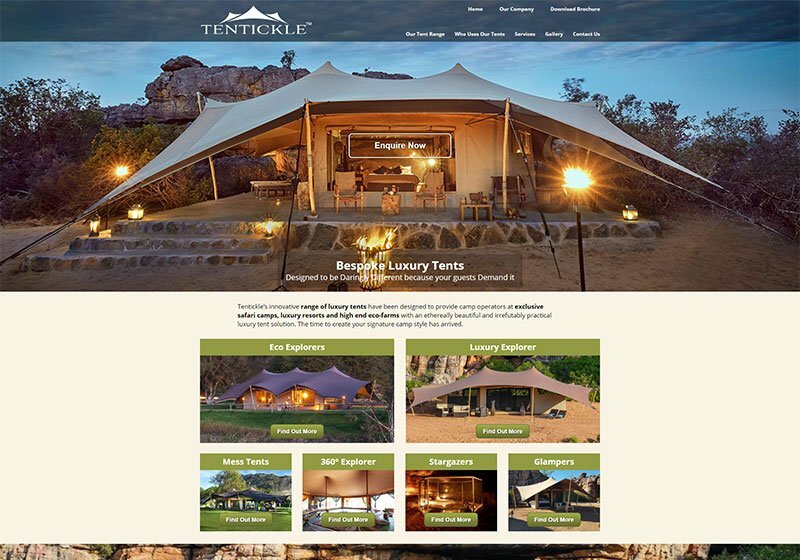 We have recently embarked on a total revamp of their stretch tent site to reflect their refreshed branding and WSI is looking forward to walking the road into the future with this valued client. Our aim is to remain agile enough to adapt our service delivery seamlessly in line with their ever-developing online requirements. The luxury tent product line was recently expanded again, and the website has already been adapted to reflect this exciting development. Utilising blogging platforms such as WordPress, Blogspot, Tumblr, Weebly and Postach.io is included in our best-practice SEO strategies and directory listings, social sharing and content syndication forms part of this process.